Republished with permission from Authority Nutrition. Original article here. The research is clear that they can reverse many common, serious diseases. This includes obesity, type 2 diabetes, metabolic syndrome and a few others. Collectively, these are the biggest health problems in the world. That being said, I’ve noticed a problem that has been growing steadily over the past few years in the low-carb community. A lot of dogma seems to be getting accepted and many myths that are NOT supported by science have gained foothold. This is a consequence of a phenomenon called group thinking, which is common in nutrition circles and can lead to a distorted view of the science. This is a big problem, because dogmatic and extremist views will not help the low-carb diet gain acceptance. They will simply scare intelligent people away and put them in a defensive mode instead of making them willing to observe the arguments objectively. Plus… dogmatic, unscientific views are what got us into this terrible public health mess in the first place. Let’s not make that same mistake again. Low-carb diets are super healthy. The studies consistently show that they cause more weight loss and improve most risk factors for disease more than the failed low-fat diet that is still being pushed by nutrition organizations all over the world (1,2, 3). That being said, low-carb is not appropriate for everyone. We’re all different and what works for one person may not work for the next. For others, low-carb can be downright detrimental. This includes people who are physically active, especially athletes who do a lot of anaerobic work. These individuals need a lot more carbs than people who are sedentary. We should be mindful of the fact that other people have different needs and different preferences. Different strokes for different folks. Sugar and refined carbs are bad, pretty much everyone agrees on that. But vilifying all carbs based on that is kind of like vilifying all fats because of the harmful effects of trans fats and vegetable oils. The truth is… not all carbs are fattening. It depends completely on the context and the type of food they are in. For carbs to be “fattening,” they need to be refined and put into a package that is highly palatable and encourages overconsumption. A great example is potatoes. On their own, they are not very exciting. They have fiber, a low energy density and you will most likely feel full pretty quickly. On the other hand, potato chips, deep fried in corn oil, with salt and pepper and maybe even a dipping sauce… now you’ve got a highly fattening food that is easy to overconsume. Many populations around the world have maintained good health on a high-carb diet with real, unprocessed foods, including the Kitavans and Asian rice eaters. I’ve seen many real, traditional foods demonized by low-carbers because of the carb content. This includes foods like fruits, whole potatoes and carrots. True… it is essential to limit these foods on a very low-carb, ketogenic diet. But this does not mean that there is anything “wrong” with those foods. But the truth is that in nutrition, everything depends on the context and “healthy” is a relative term. In my opinion, low-carb zealots trolling the web scaring people away from whole foods like carrots and fruits, without any regard to context, are no better than militant vegans spreading fear mongering about meat and eggs. 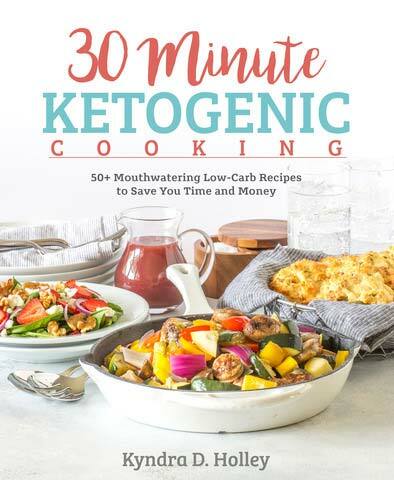 A ketogenic diet is a very low-carb diet, usually under 50 grams of carbs per day, with a very high fat intake (60-85% of calories). 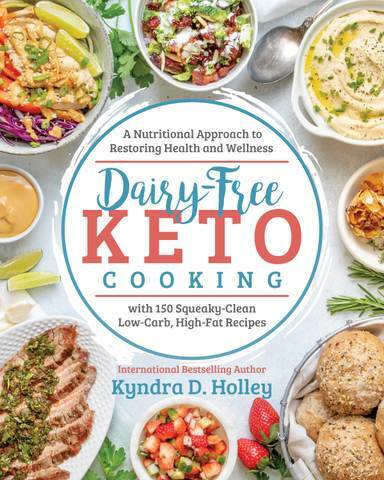 Ketosis can be a highly beneficial metabolic state, especially for people with certain diseases like diabetes, metabolic syndrome, epilepsy or obesity (4, 5, 6). But this really is not the only way to do a “low carb” diet. 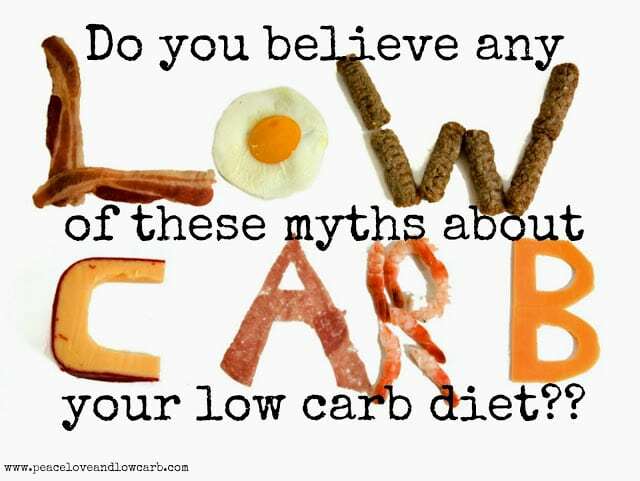 Low-carb can be anything up to 100-150 grams of carbs per day, perhaps even more. Within this range, there is easily room for several pieces of fruit per day and even small amounts of whole, starchy foods like potatoes. 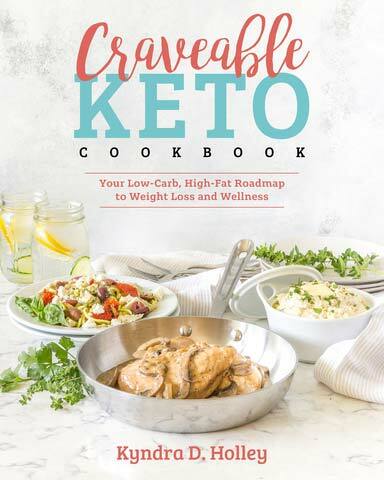 Even though a very low-carb / ketogenic diet may be the most effective for quick weight loss and several disease states, this is not appropriate for everyone. 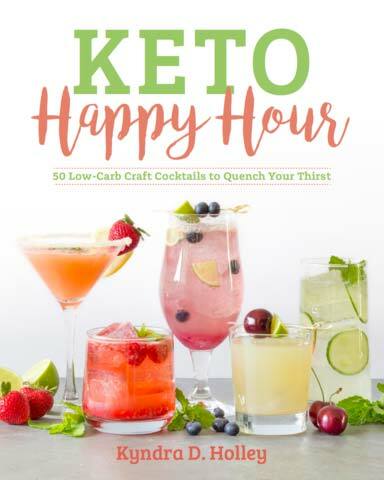 I know of a lot of people who didn’t feel good in ketosis, but when they added in a few fruits (still low-carb) they suddenly started feeling awesome. Saying that all carbs are broken down into “sugar” is true, but misleading. Technically, the word “sugar” includes various simple sugars like glucose, fructose and galactose. Yes, starches like grains and potatoes do get broken down into glucose in the digestive tract, which raises blood sugar levels. To a diabetic, it is true that starches turn into “sugar” and raise the “sugars” in the blood. But to other people, who are not chemists, the word “sugar” implies the white, unhealthy granular stuff… sucrose. Telling people that “all carbs turn into sugar” is misleading. It makes people think that there is no difference between a potato and a candy bar. Whereas table sugar contains half glucose, half fructose, starch is only glucose. It is the fructose portion of sugar that is the most harmful, starch (glucose) does NOT have the same effect (7, 8). Trying to mislead people into believing that starches are equivalent to sugar/HFCS is dishonest. There are some who think that as long as carbs and insulin are low, that weight gain is impossible. But the truth is… it is very possible to gain weight on a low-carb diet. Many low-carb foods can be fattening, especially for people who are prone to binge eating (like I used to be). This includes cheese, nuts, peanuts and heavy cream. It is very easy to eat a ton of calories from these foods, enough to stall weight loss or even cause someone to start gaining weight back. Back in my binge eating days, I used to binge on peanut butter. For a while, I used to eat an entire jar of organic peanut butter (70% fat, 15% carbs) every evening and I gained weight like clockwork until I stopped doing it. Although many people can eat these foods without problems, others need to moderate them if they want to be able to lose weight without restricting calories. Despite decades of anti-fat propaganda, the studies are showing that saturated fat is harmless (9, 10, 11). There is no reason to avoid high-fat dairy products, fatty cuts of meat, coconut oil or butter. These are healthy foods. But just because “normal” amounts of saturated fat are fine, it doesn’t mean that adding a ton of it to your diet is a good idea. It is trendy these days to add a whole lot of butter and coconut oil to coffee. I think doing this is fine… in moderation. It will probably lead to a reduced appetite, so it won’t cause weight gain or anything like that. But if you’re adding 20-30-50 (or more) grams of fat to your diet every day, then you will be eating less of other more nutritious foods instead (like meat and veggies). There is a misunderstanding among some low-carbers that calories don’t matter. Calories are a measure of energy and body fat is simply stored energy. If our bodies take in more energy than we can burn off, we store it (usually as body fat). If our bodies expend more energy than we take in, we use stored body fat for energy. One of the reasons low-carb diets work so well, is that they reduce appetite. They make people eat less calories automatically, so there is no need for calorie counting or portion control (12, 13). Of course, these diets also optimize the function of important metabolic hormones like insulin, but one of the key reasons they work so well is that people start to eat less calories without trying. Calories count, but counting them or even being consciously aware of them is not necessary in many cases. Dietary fiber is indigestible carbohydrate material in foods. Humans don’t have the enzymes to digest fiber and therefore it passes through relatively unchanged. However, fiber is not irrelevant to health, like some low carbers seem to believe. Fiber actually gets to the bacteria in the intestine, which do have the enzymes to digest it and can turn it into beneficial compounds, like the fatty acid butyrate (14). In fact, there are many studies showing that fiber, especially soluble fiber, leads to various health benefits like weight loss and improved cholesterol (15, 16, 17). There are many different types of fiber. While some don’t really do anything, others are highly beneficial for health. Many people who are metabolically healthy can easily maintain good health eating carbs, as long as they eat real food. However, when someone becomes insulin resistant and obese, the metabolic rules seem to change somehow. People who have metabolic dysfunction caused by the Western diet may need to avoid all high-carb foods. But even though removing most carbs may be necessary to reverse a disease, it does not mean that the carbs themselves caused the disease. Healthy people who want to stay healthy will do just fine, even on a higher carb diet, as long as they stick to real, unprocessed foods. The prevention does not have to be the same as the cure. Group thinking is a big problem in nutrition. People tend to pick “sides” – then they only read blogs and books by people who agree with the side they have chosen. This is a BIG problem among vegans. They are often completely brainwashed, with a severely distorted view of the science. But I have started to notice the same thing in the low-carb community as well. We need to be vary of this group thinking phenomenon and always look at the opposite argument as well. Science changes all the time and what is true today can be proven wrong tomorrow. So let’s continue to promote the incredible life-saving benefits of low-carb diets (for the people who need them). But let’s not ignore all contrary evidence or distort the science just to get our point across. That ain’t cool. If we do that, then we’re no better than the vegans. Hi 🙂 so this is my story – I’ve been following a low-carb diet for 2 weeks now. Initially I lost 2kg’s. But the thing is I gained it back the second week. I’m soooo frustrated! I didn’t cheat except for some ice-cream on one Sunday..so I really don’t understand why I’m gaining weight now. I’m thinking that the only reason could be that I’m eating TOO MUCH fats now – for instance, in my spinach I tend to add cream AND feta…. is that wrong? I seriously don’t know what else could be the problem. Also, I’m not feeling like I’m eating less calories automatically because of reduced hunger just yet? Does this take a while longer? Does my body just need more time to adjust? I used to be a binge eater too. I’m not obese or anything, I just have that few kilo’s that I’m always struggling to drop. Please, any advice? I really really really want to continue on this diet, but I do NOT want to gain any more weight. Thanx. I have great success from doing low carb diets. But I wouldn’t just call it a low carb diet. You don’t need to eat a lot of fat, try eating a high protien- low carb diet. For example: Breakfast- 2 eggwhites, 1 tb low fat cheddar cheese and I piece of fruit. 3 snack through out the day: 2 pieces of low sodium turkey and a half piece of low fat cheese, a 4 oz dannon light and fit yogurt, and an apple, for lunch a salad with up to 10 grams of fat from meat and dressing and for dinner 6 oz of salmon, chicken breast, or lean beef with 1 cup of green veggies. Check out french atkins, the zone, or the south beach diet. They guide you through a much healthier way of dieting than a traditional Atkins diet. In my opinion anyway. Also if you are always feeling hungry, you could try eating very little for 1 day to shrink your stomach (like 200 calories of fruit and veggies- and it is torture but it’s only 1 day). I always start my diets like that. Excellent, just the kind of information I like to see on the internet. There’s so much rubbish about! Same as the first comment up there. I started losing 2 kg , I knew its water. Then 3 weeks, all coming back and weight gained !? I have never cheated. I even have lots of exercise. (?!). Finally a low carb dieter and website who speaks logic. You are very correct that ketogenic diets are not the best choice for all of us. I started out on that, but it train wrecked my cholesterol. Because I have the familial cholesterol gene, I get much better results on with my A1C and cholesterol blood work with a low fat diet. Thanks for keeping it real on your site!